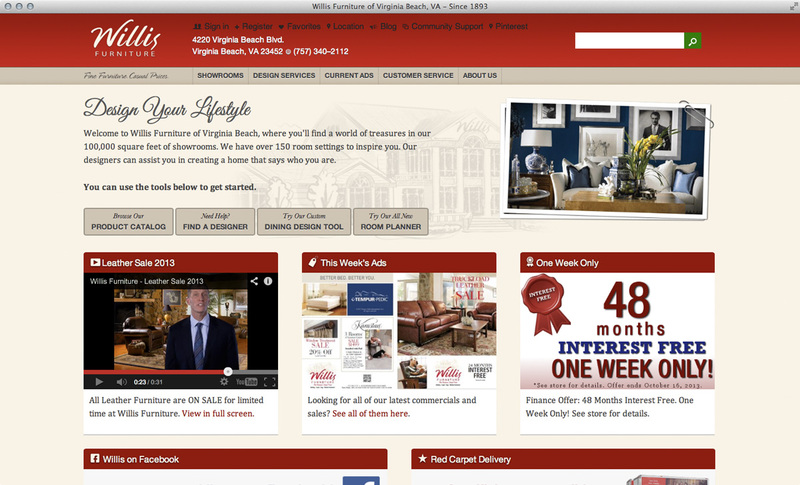 Front end design for willisfurniture.com. Partnered with AYR1 in providing CMS and product catalog services. Will soon be transitioning this site to its third different CMS and catalog in the past three years Now fully powered by AYR1. Full site designed to work with their proprietary CMS.